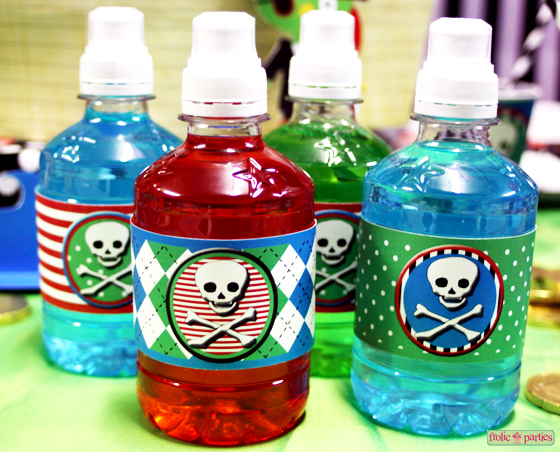 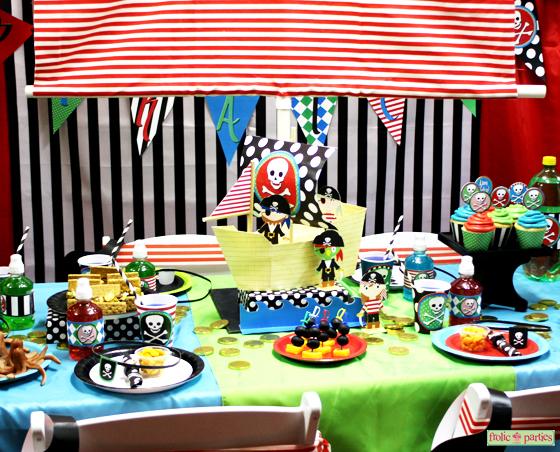 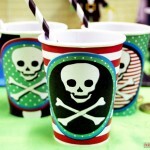 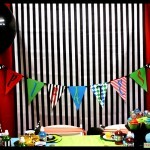 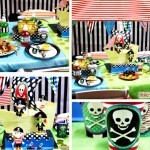 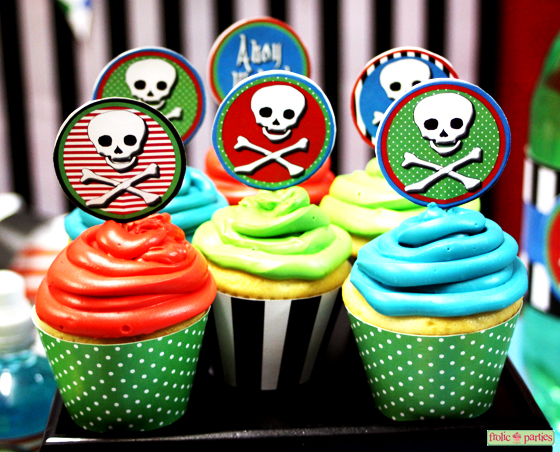 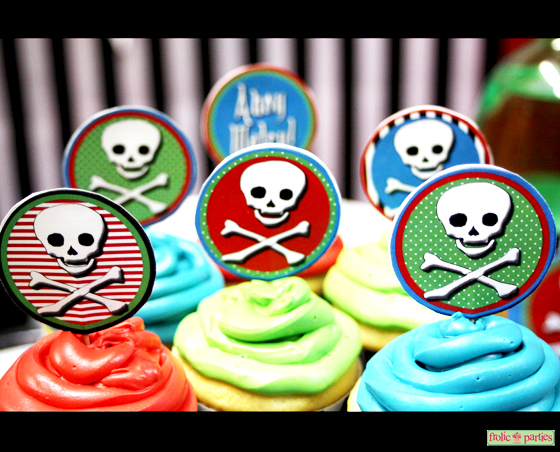 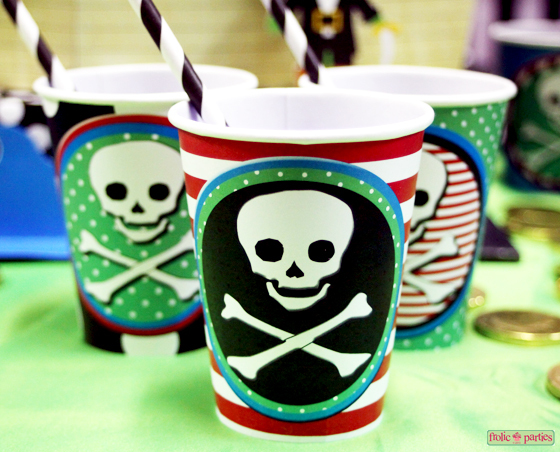 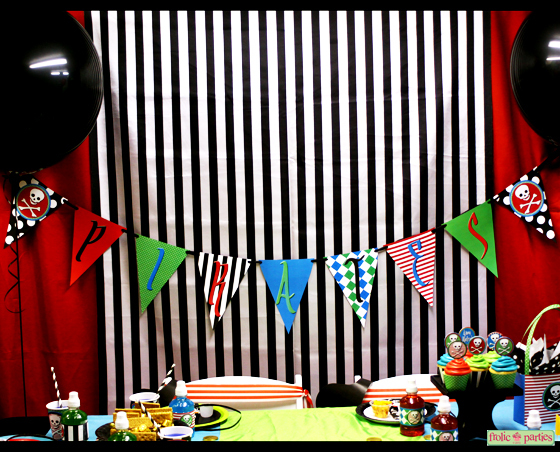 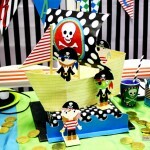 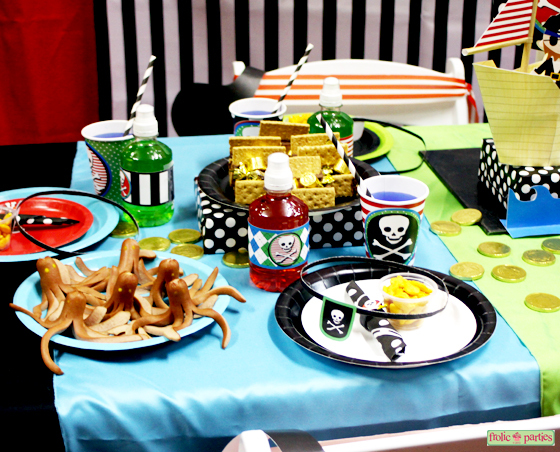 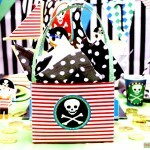 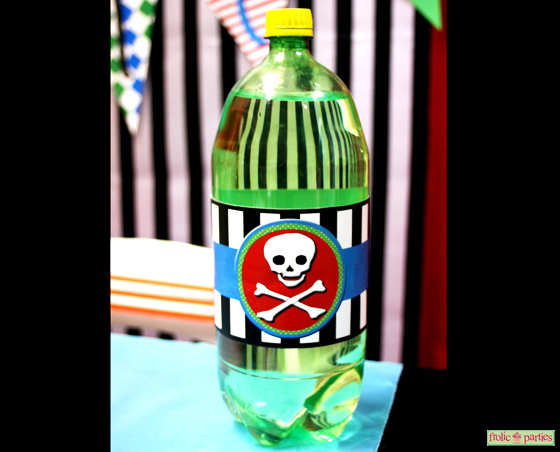 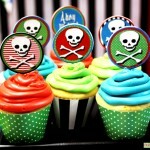 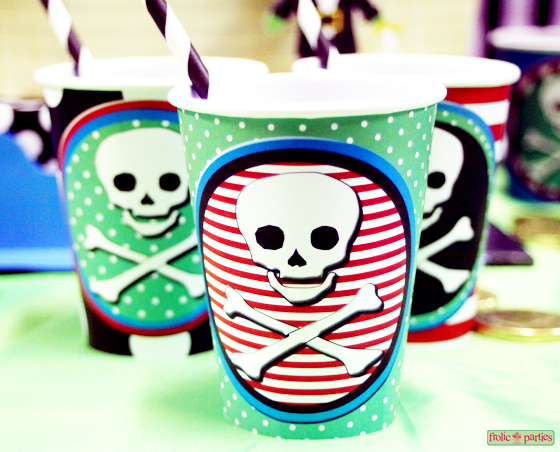 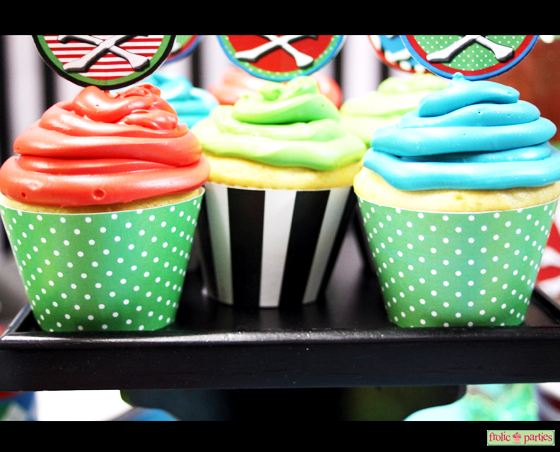 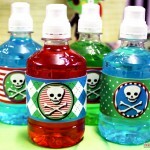 This adventurous bright and colorful Lil' Pirates Party will surely have your Captain saying Arrrgh!! 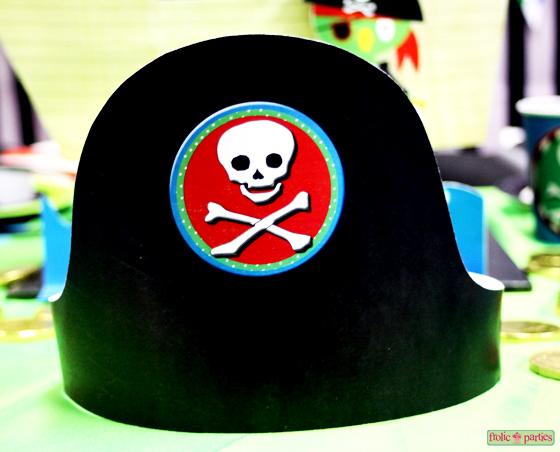 Simply print, cut, and glue the pieces. 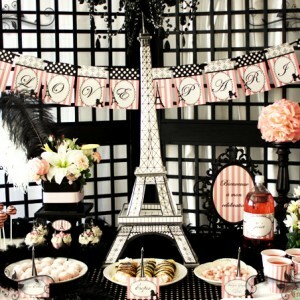 Purchase either the entire party or individual pieces. 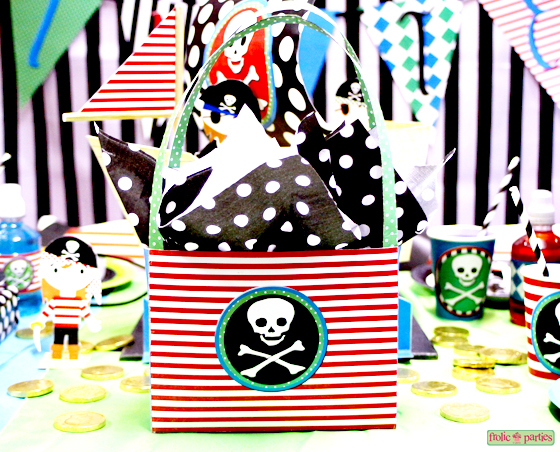 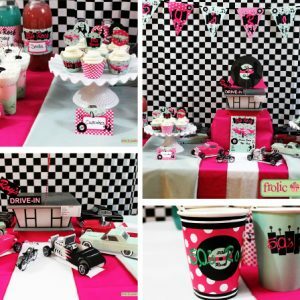 The complete party includes: Invitations, Banner, Cupcake Wrappers, Cupcake Picks, Individual Bottle Wrappers, Cup Holders, Large Bottle Wrappers, Place Cards, Thank You Cards, Treat Cones, Pirate Hats, Patterned Paper, and a 3D Pirate Ship and Pirates Centerpiece. 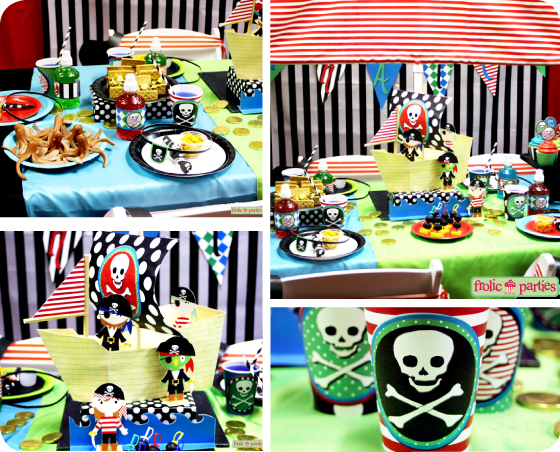 This adventurous bright and colorful Lil’ Pirates Party will surely have your Captain saying Arrrgh!! 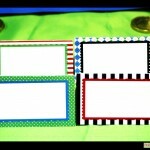 Simply print, cut, and glue the pieces. 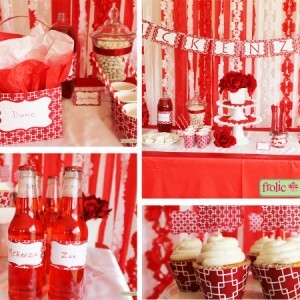 Purchase either the entire party or individual pieces. 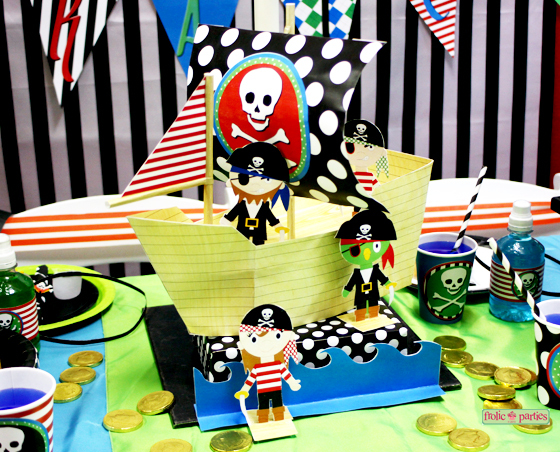 The complete party includes: Invitations, Banner, Cupcake Wrappers, Cupcake Picks, Individual Bottle Wrappers, Cup Holders, Large Bottle Wrappers, Place Cards, Thank You Cards, Treat Cones, Pirate Hats, Patterned Paper, and a 3D Pirate Ship and Pirates Centerpiece. 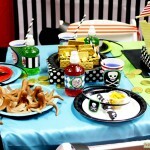 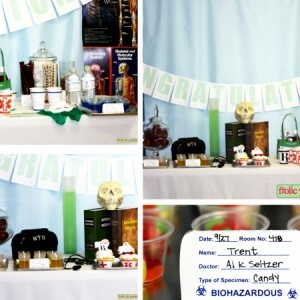 Food, drinks, and other decorations not listed that are seen in pictures are not included but can be purchased separately. 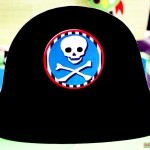 Files will be available for download once purchase is complete. 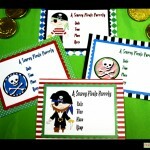 You will need to have Adobe Reader in order to view PDFs. 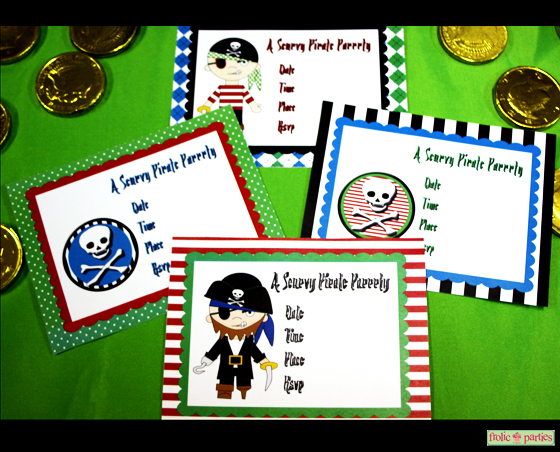 This can be downloaded for free at http://get.adobe.com/reader/ This listing is for digital files only so feel free to print as many as you need! 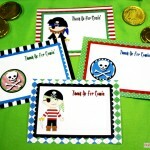 No printed materials will be shipped. 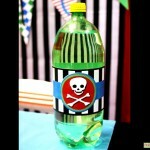 Due to the nature of this product, no refunds will be made. 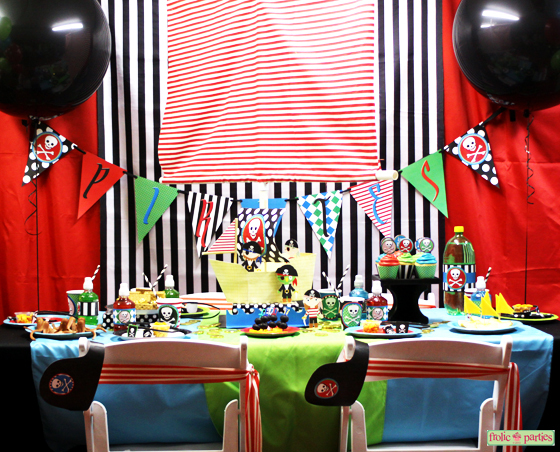 Do not hesitate to contact us if you are having problems!